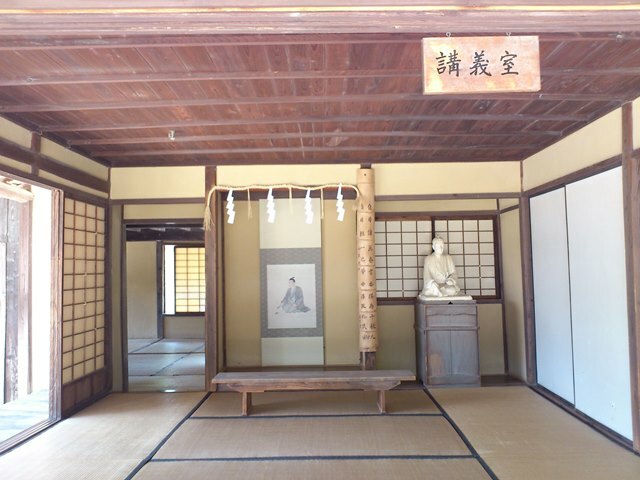 Yoshida Shôin, having taken over the family school Shôka Sonjuku, taught like no other. Soon more and more young men came to study with him. He let them choose freely what they wanted to study and treated them as equals, giving each one individual attention. Although a scholar himself, Shôin valued personal development and the ability to translate learning into action more highly than mere book learning. He and his students spent many hours, sometimes all night, discussing current events, and he tried to show students how thought and action must relate to each other. His passionate dedication is, perhaps, what he is most remembered for. By all accounts he tried to instruct everyone in sight, including his jailors. A charismatic personality, he inspired others to listen to him, despite his unremarkable and often dishevelled appearance. As Japan’s crisis deepened, Shôin felt increasingly frustrated with his inability to act himself. He could no longer travel; instead he urged his students to do so. He introduced them to his own teachers. Encouraged by Shôin, his students they sent him reports of what they observed, and Shôin used them to write memorials to his lord suggesting measures for reform. But he did not stop there. In 1858 the shogunate’s regent, Ii Naoshuke, had the shogunate sign the Treaty of Amity and Commerce with the United States, even though the shogun had failed to receive imperial sanction. This was the first of the “unequal treaties”, soon to be followed by others with Russia, Holland, England, Prussia, Austria and France. To quell resistance to the treaty, Ii Naosuke pursued a strong policy and had many of the shogunate’s opponents arrested and executed, including friends of Shôin’s, in the so-called Ansei purges. 1) He tried to go to America. 2) He advised the government on coastal defence while in jail. 3) He opposed hereditary succession to office and favoured the selection of able men by popular vote. 4) He planned to give his opinion regarding foreigners to the shogunate. Shôin’s death secured him fame as a martyr and a victim of the shogunate’s random cruelty. Dramatic and sentimental stories surround his final weeks, his departure from his family, his last journey to Edo and his death. Shôin himself provided material for this with numerous poems. One of the most famous ones laments the grief he was causing his parents. In Confucian thought, dying before one’s parents constitutes the ultimate failure to exercise filial piety. As early as 1856, had sensed the failure of all his plans: he hoped that his spirit and moral courage would spur future generations to loyal deeds. And his ideas did indeed live on. Many became reality in the years following the Meiji Restoration. Above all they inspired his students. Those who survived these violent times often became leading statesmen in the Meiji period, including Kido Takayoshi, one of the most important actors of the Restoration, Itô Hirobumi, Japan’s first Prime Minister and Yamagata Aritomo, the architect of Japan’s modern army. Shôin himself received a place in the gallery of heroes of the Restoration. His writings, published for the first time, found a wide audience. The journalist and historian Tokutomi Sohô wrote a biography, in which he compared him to a mother who in a difficult birth loses her own life to give life to a healthy baby. Shôin’s fame even reached beyond his native country’s shores. Robert Louis Stevenson’s collection of essays, Familiar Studies of Men and Books (1882) includes one entitled, ‘Yoshida Torajiro’ (1880). But as the author of Treasure Island fame shrewdly remarked when he described Shôin’s life, ‘this is as much the story of a heroic people as that of a heroic man.’ Indeed, Shôin’s importance may well lie in the way he represented the times he lived in; he was not so much the best teacher of all times as the best teacher for his own time. 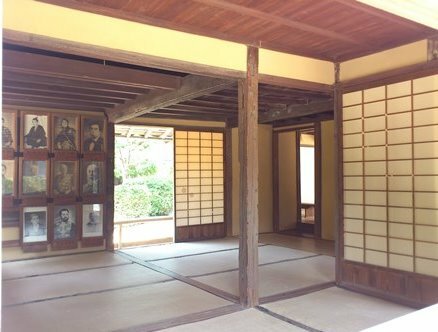 The young men of Chôshû domain were ready for Yoshida Shôin; the times demanded passionate and intense personalities who could stimulate their contemporaries to articulate ideas and to put them into practice when the time came. 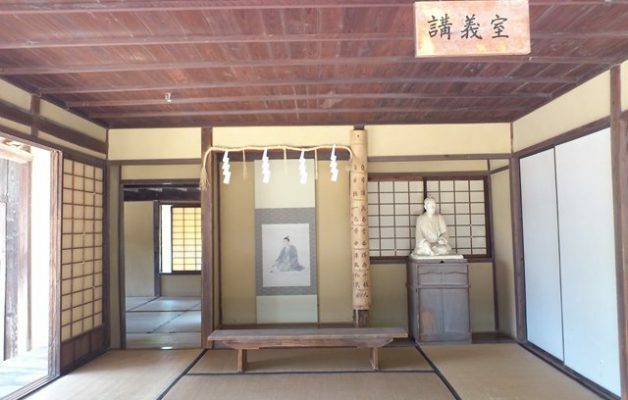 So, the Shôka Sonjuku school where Shôin taught did indeed play an important part in shaping the new Japan after 1868. But the new industrial Japan? What specifically qualifies Shôka Sonjuku as a UNESCO World Heritage ‘Site of Japan’s Meiji Industrial Revolution’, I wondered as I planned my second visit to Hagi. 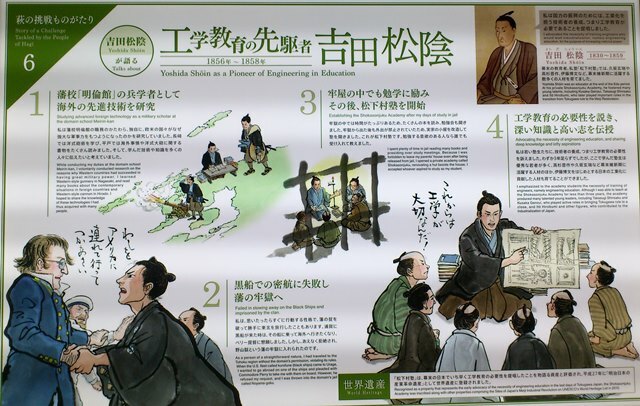 I found the answer on one of the exhibition boards of the Hagi Meirin Gakusha Visitor Center and Hagi World Heritage Center, a new museum opened in the former Meirinkan elementary school which in turn was built on the site of the Meirinkan domain school. Apparently, technology and engineering were subjects Shôin particularly urged his students to study. Sure enough, one of his students, Yamao Yōzō 山尾 庸三 (1837 – 1917), travelled to Britain in the 1860s with a group known as the Chôshû Five that also included the future prime minister Itô Hirobumi, where he studied engineering at University College London and at Anderson’s College (now the University of Strathclyde) in Glasgow. After the Meiji Restoration, as Minister of Public Works, he established a school of engineering in the Ministry. Later this became part of Tokyo University (established in 1877). At the time, engineering as a university subject was relatively new even in the West. 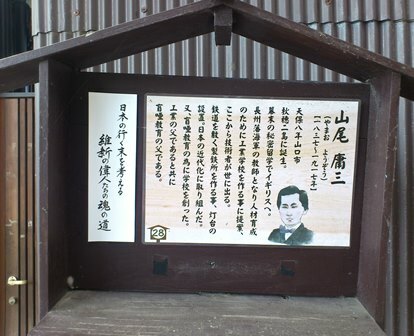 Yamao Yōzō, 山尾 庸三, ‘father of technical education in Japan’ is among the Hagi heroes commemorated in the town’s main shopping arcade. 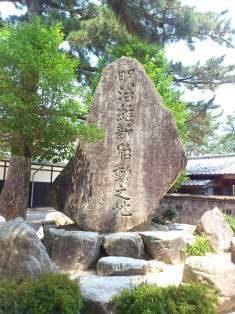 Thus, while the immediate link between Shôin and the Meiji industrial revolution is somewhat tenuous, taken together with Hagi’s other industrial heritage sites (see Part 1), the Shôka Sonjuku does merit a place in the history Japan’s rapid development into a modern industrial nation.